Hallo! I didn't get a chance to post this yesterday! My boyfriend and I got home rather late. We were out last night in the city with my friends and watched Batman VS Superman. It is not as bad as everyone went on about. Not the greatest movie but you know, it's a super hero movie and I didn't mind it. 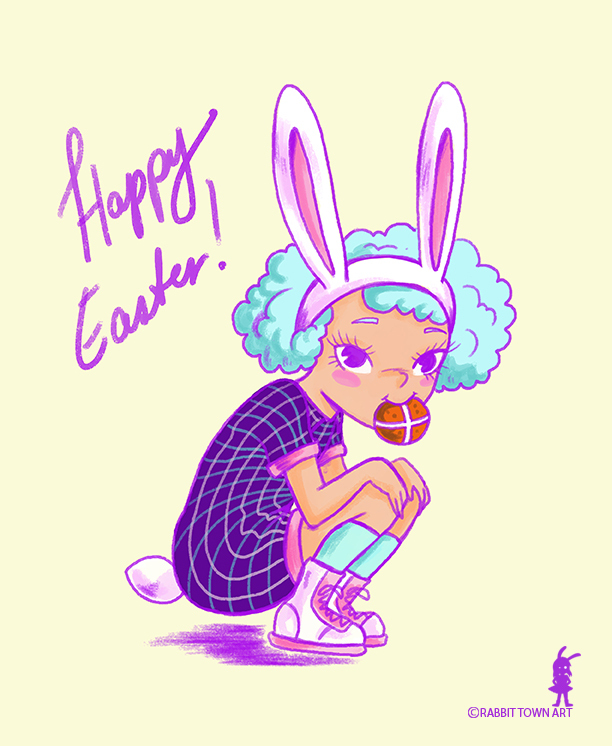 I did this drawing for Kookyrabbit, for Easter and for Epilepsy Awareness day (the color purple is to show support). I have a good friend that suffers from epilepsy. I did some work today, some more product design and more work to do tomorrow! I will be trying to make more time to draw what I enjoy though. Even though it's not really something I can sell, I do enjoy drawing up product design studies. It's relaxing and am getting some practice.